Hailie Deegan: "If I'm at the top in off-road, what's next? Am I going to stay at this level, or should I move forward into bigger things?" Editor's note: This story was updated from an earlier version. CHARLOTTE, N.C. -- At 15, Hailie Deegan handles the media with maturity beyond her years, easily and confidently transitioning from print to radio to TV interviews at the NASCAR Next Class luncheon in Charlotte. She spends about 15 minutes at one media table and then moves to another, following NASCAR's directions. She isn't intimidated by anything or anyone. That's to be expected of the girl whose father is Brian Deegan, the most decorated freestyle motocross rider in the competition's history. 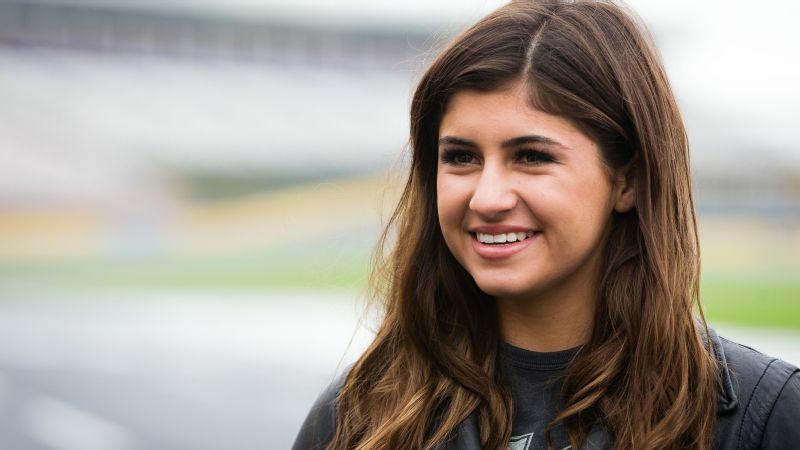 Her interest in racing has allowed Hailie Deegan to spend more time with her father, Brian, the most decorated freestyle motocross rider in history and an off-road champion. Just two months shy of her 16th birthday, Hailie is the first female to win a race and a championship in the Lucas Oil Off Road Racing Series. 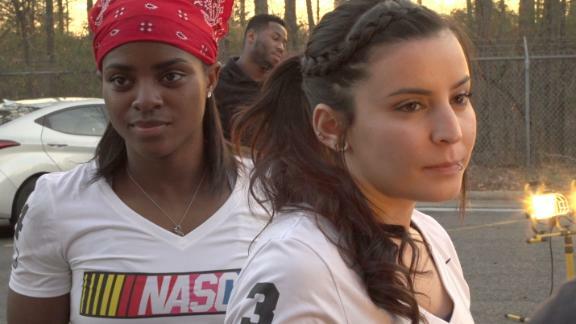 She was in NASCAR's Drive for Diversity program last year and now is the youngest driver and only female named to the nine-member NASCAR Next Class. Deegan also is the youngest competitor in the off-road Pro Lite category, and she is venturing into late model and super late model cars for the first time. 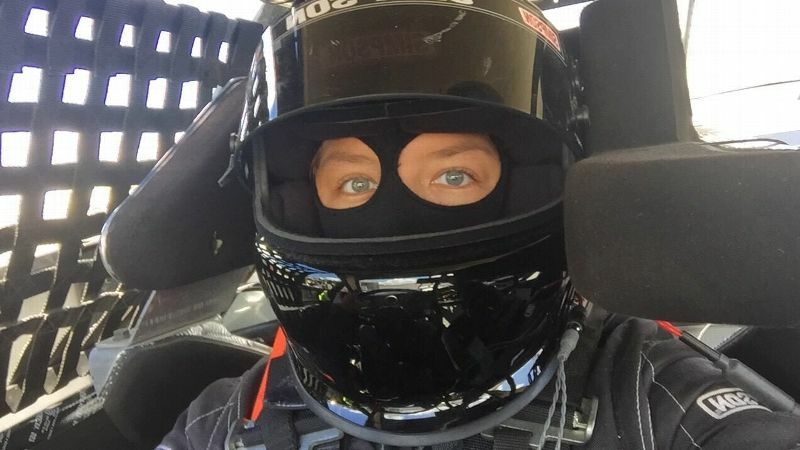 A member of Toyota's driver development program, the Temecula, California, native plans to race a late model in Madera, California, and in June begin competing in super late model races in North Carolina. "From racing my whole life, I know that she just needs more experience," Brian said of his only daughter. "She's raced a lot in off-road, but she needs to get on a track with cars running side-by-side for hundreds of laps. She needs seat time. "Coming from off-road, she didn't grow up around stock cars. It's going to take her time to learn ... the car setups, the different tracks, the way the tires wear. If she can get on the right team with a good crew chief who can teach her, throw the right setups in the car, those are the things that will fast-track her." The fact that seven-time NASCAR champion Jimmie Johnson came from off-road racing bodes well for Hailie. Her father, coincidentally, raced against Johnson in motocross. 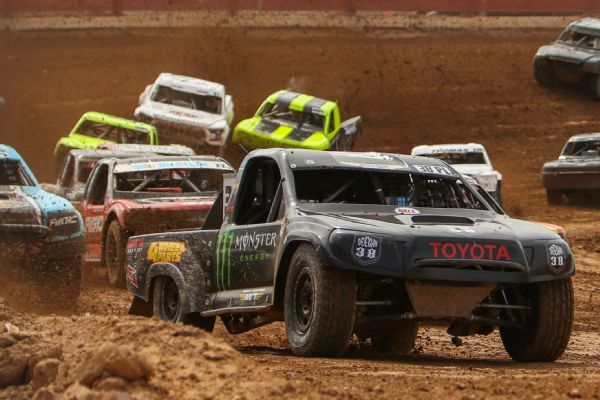 "You learn so much in off-road [racing]," said Brian Deegan, winner of 13 X Games medals, a gold medal in RallyCross and Lucas Oil Off Road Racing Series championships. "It's just a lot of car control. I feel like if she only did go-karting and went to stock cars, I think she would be limited. When you have that dirt experience, it's going to come into play late in a race, when cars have greasy tires and the track is hot, sliding the car off the turns. That's where she's, hopefully, the girl that breaks through because of that." Like many of today's young drivers, Hailie began racing as a child, starting in off-road trucks at 8. "I saw these little trucks that I was obsessed with, and my dad got me one for my eighth birthday," Hailie said. "That was the start of my racing career." Hailie played volleyball for a short time but said she preferred the one-on-one competition and the aggressiveness on the track. It was a decision that surprised her father, who said she was a "straight-A student, really intelligent," and could choose any profession. She wanted racing because it brought her and her father's interests together. "It really built a good relationship between us," said Hailie, who is home schooled. "My parents can't always travel with me because my little brother is a world champion on dirt bikes. He's 11. My grandpa will fly with me [when my parents can't go]. I always have family around to help me." Hailie has a personal trainer and does hot yoga with her mother, Marissa. She tries to train daily, even if it's just to go running. Nicknamed the "Dirt Princess," Hailie believes she currently is at the top of her game in off-road racing. "If I'm at the top in off-road, what's next?" she asked. "Am I going to stay at this level, or should I move forward into bigger things?" 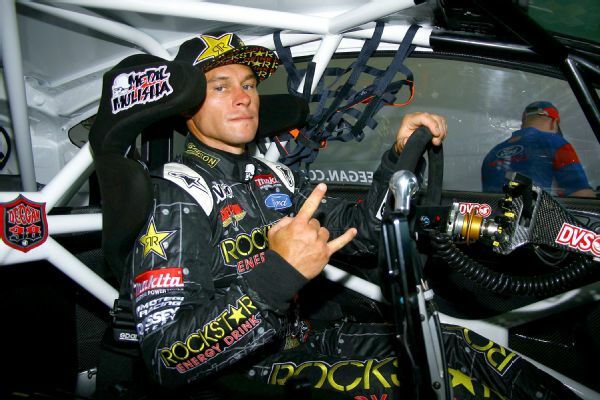 Brian Deegan said daughter Hailie's off-road racing experience should help her when it comes to control in a stock car. 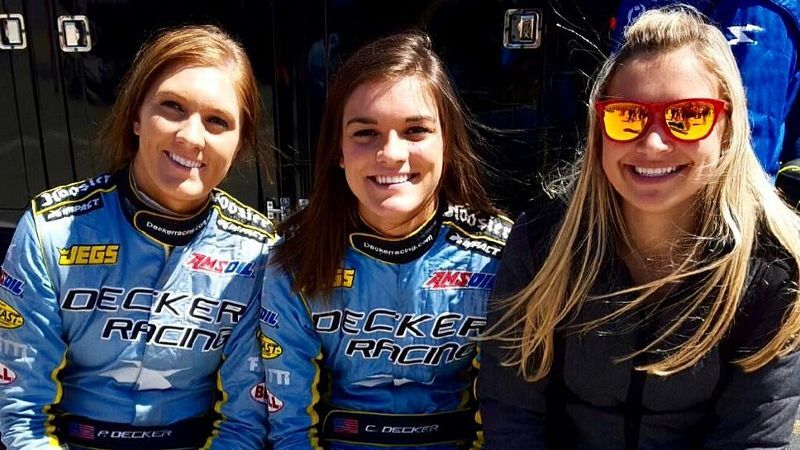 "To be a part of NASCAR, to have the name behind me is such a big deal," Hailie said. "Having them support me is really going to help my career." Former NASCAR Next Class members include Ryan Blaney, Chase Elliott, Erik Jones, Kyle Larson, Daniel Suarez and Darrell Wallace Jr. Although Hailie doesn't have an "exact plan" for her racing career, she hopes to race full-time in 2018 in late models and possibly a few NASCAR K&N events by season's end. "By the time I'm 18 or 19, I want to be racing in the [NASCAR Camping World] truck series," she said. "Maybe I can do a few of those races when I'm 17." Perhaps she should check with her dad on that. Brian won't allow the oldest of his three children to progress until he believes she's ready. "We don't want to just go there for the show. We want to go there and perform," he said. "I want to see her win. I want to see her go into truck, Xfinity and into Cup and win races. People can't believe that. But I've watched her win everything, so I don't see why she can't do it there. She's never folded under pressure. She can drive a car really loose off the turns, hit her marks every lap, sideways, whatever it takes to get the most speed. She has good car control. She's not scared at all. "It's going to take a lot of work, and she gets it. That's what we do [as a family]. We work as hard as it takes to win. I'm just excited to see her path. It should be really interesting." Deb Williams is a North Carolina-based writer and former editor. She has covered auto racing for United Press International, USA Today and The Charlotte Observer. She has more than 30 years of experience covering motorsports and was the 1990, 1996 NMPA Writer of the Year.